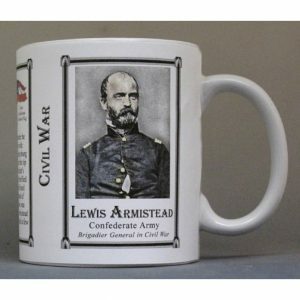 This Lewis Armistead mug is part of our collection of Civil War biographical mugs. 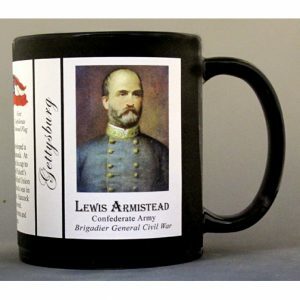 An image of Lewis Armistead and a short biography are features of this history mug. The Andre Cailloux mug is part of a biographical series profiling unique individuals and includes an image of Andre Cailloux and a short biography. 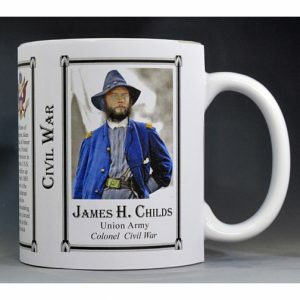 This James Childs mug is part of our collection of Civil War biographical mugs. 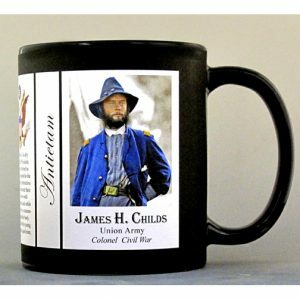 An image of James Childs and a short biography are features of this history mug. This Patrick Cleburne mug is part of our collection of Civil War biographical mugs. An image of Patrick Cleburne and a short biography are features of this history mug. 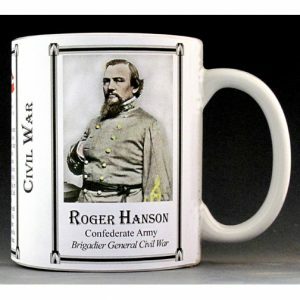 This Roger Hanson mug is part of our collection of Civil War biographical mugs. An image of Roger Hanson and a short biography are features of this history mug. 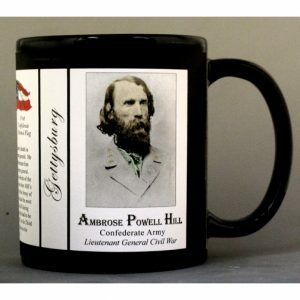 This Ambrose Powell Hill mug is part of our collection of Civil War biographical mugs. An image of Ambrose Powell Hill and a short biography are features of this history mug. 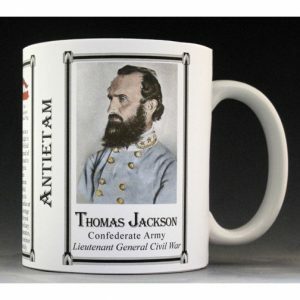 This Stonewall Jackson mug is part of our collection of Civil War biographical mugs. 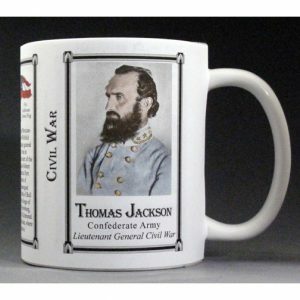 An image of Stonewall Jackson and a short biography are features of this history mug. This Albert Sidney Johnston mug is part of our collection of Civil War biographical mugs. An image of Albert Sidney Johnston and a short biography are features of this history mug. 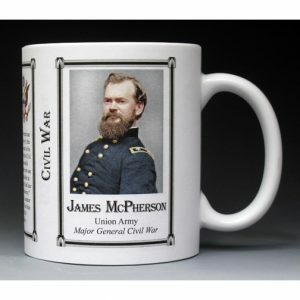 This James McPherson mug is part of our collection of Civil War biographical mugs. An image of James McPherson and a short biography are features of this history mug. 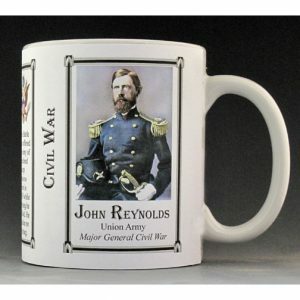 This John Reynolds mug is part of our collection of Civil War biographical mugs. 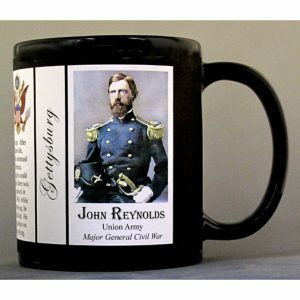 An image of John Reynolds and a short biography are features of this history mug. 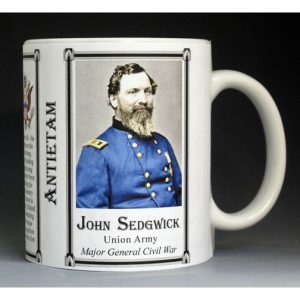 This John Sedgwick mug is part of our collection of Civil War biographical mugs. An image of John Sedgwick and a short biography are features of this history mug. 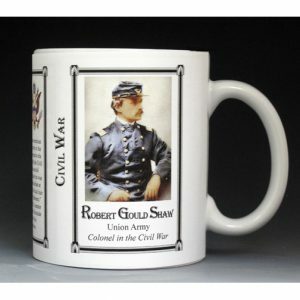 This Robert Gould Shaw mug is part of our collection of Civil War biographical mugs. 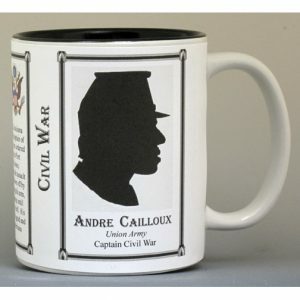 An image of Robert Gould Shaw and a short biography are features of this history mug. 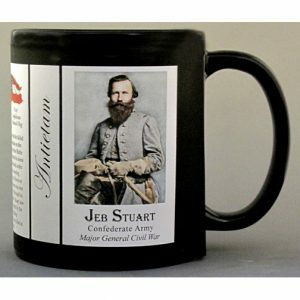 This Jeb Stuart mug is part of our collection of Civil War biographical mugs. 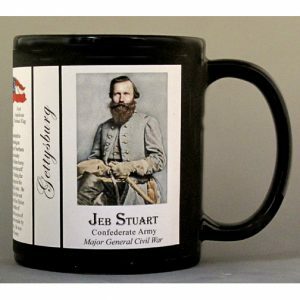 An image of Jeb Stuart and a short biography are features of this history mug. This Jennie Wade mug is part of our collection of Civil War biographical mugs. An image of Jennie Wade and a short biography are features of this history mug.